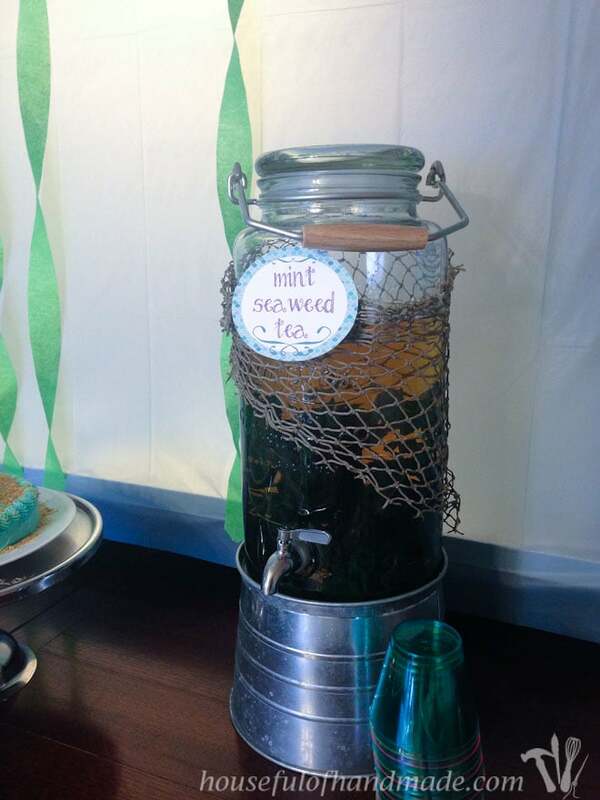 Everything you need to host the perfect under-the-sea themed tea party! 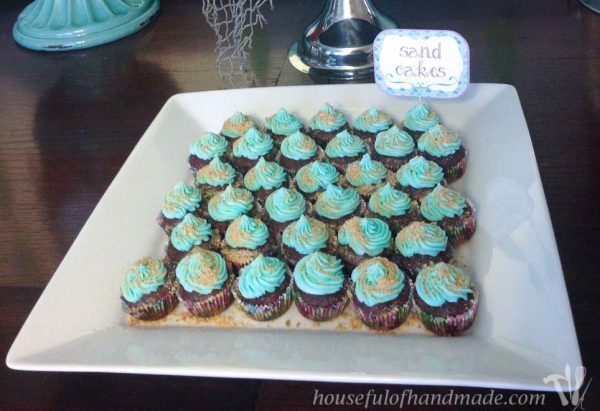 Invitations, digital paper, clipart, and food labels all ready to print so you can focus on the rest of the party. 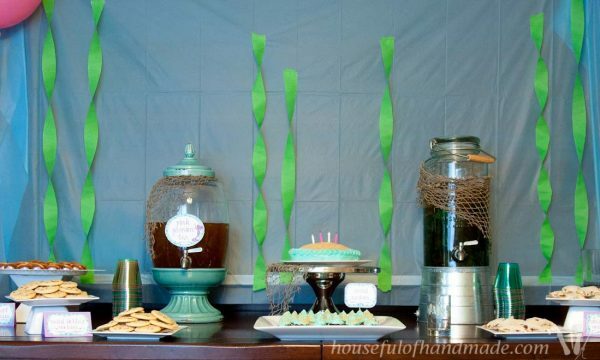 Create a memorable party for you little mermaid without the added stress. Beautiful purple and teal colored party invitations and party extras. Celebrate your favorite mermaids birthday with a beautiful Mermaid Tea Party. 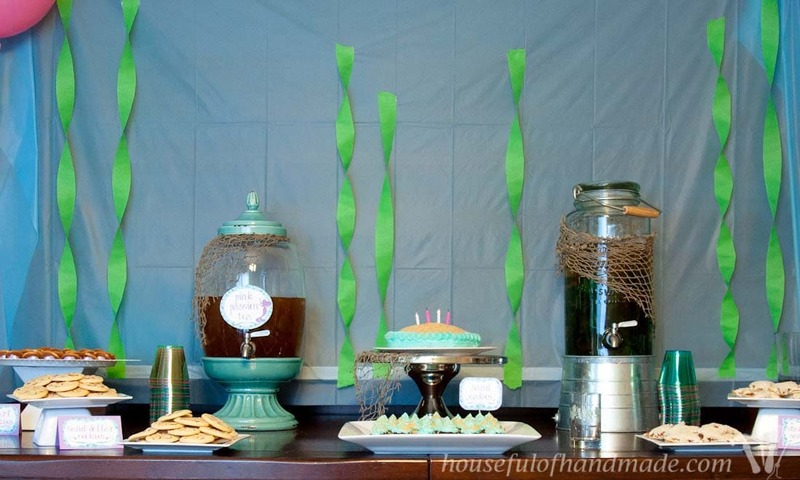 Includes all the printables you need to throw a beautiful under-the-sea themed party. 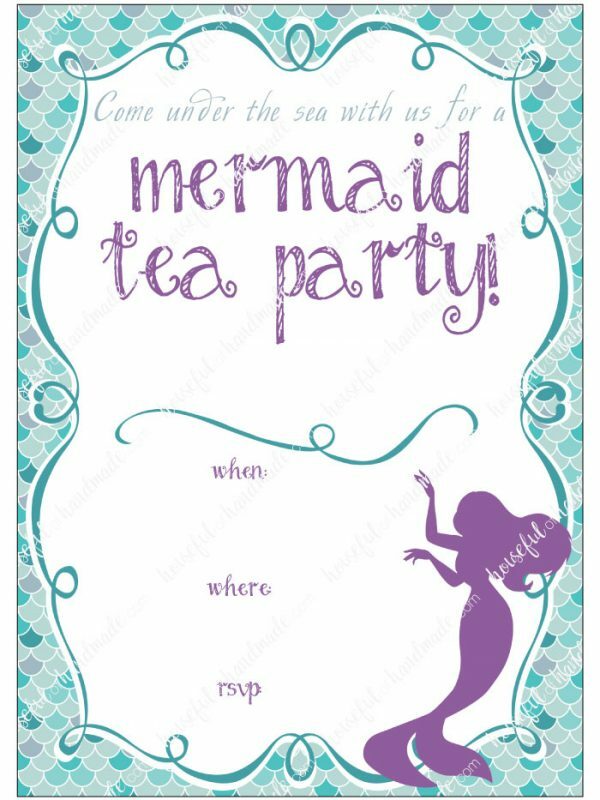 The Mermaid tea party printables include a beautiful 5×7 mermaid themed birthday invitation in both JPG and PDF file formats. Mermaid tale scales digital paper, mermaid clipart (PNG with transparent background), and mermaid themed food labels. 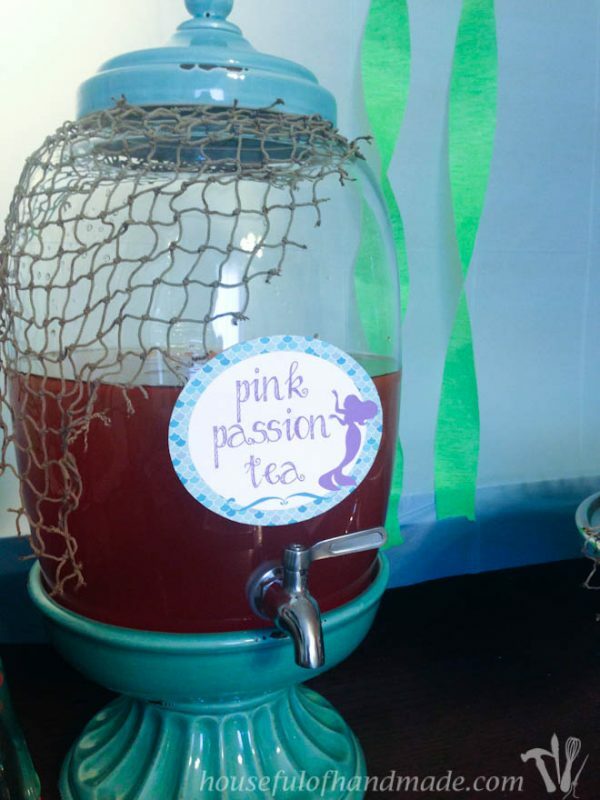 See how we created the perfect Mermaid themed tea party using these printables, complete with decorations and games, here.